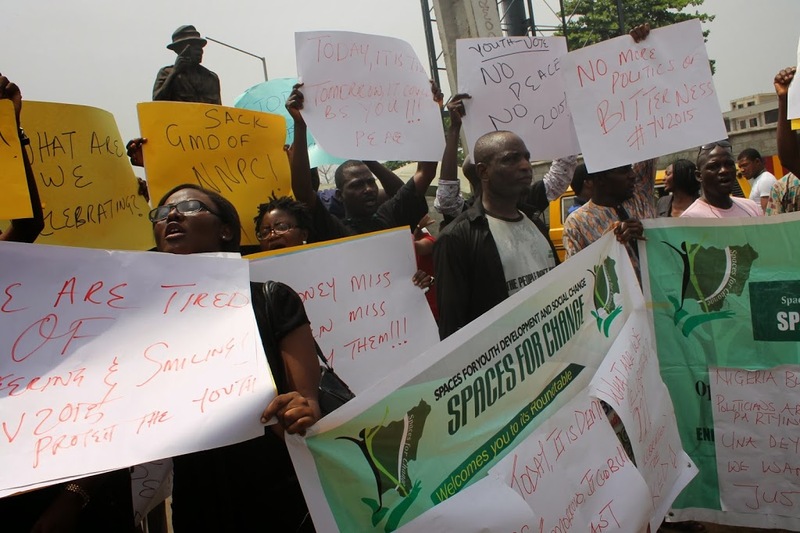 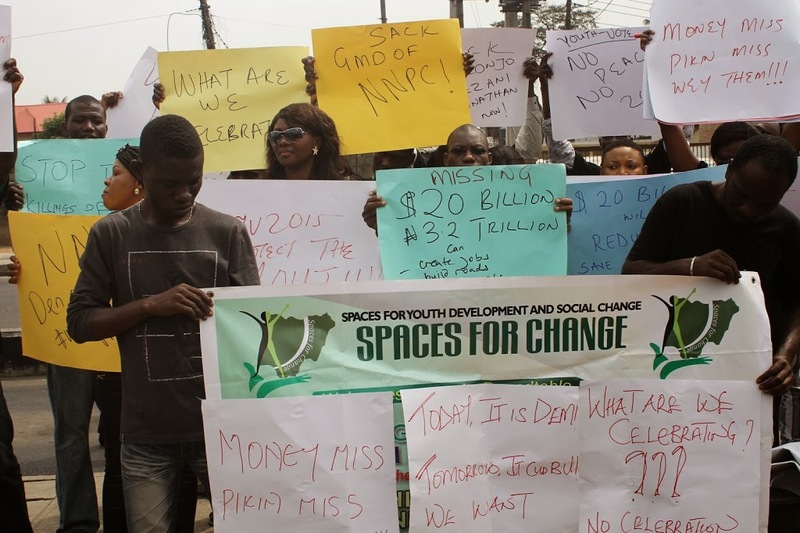 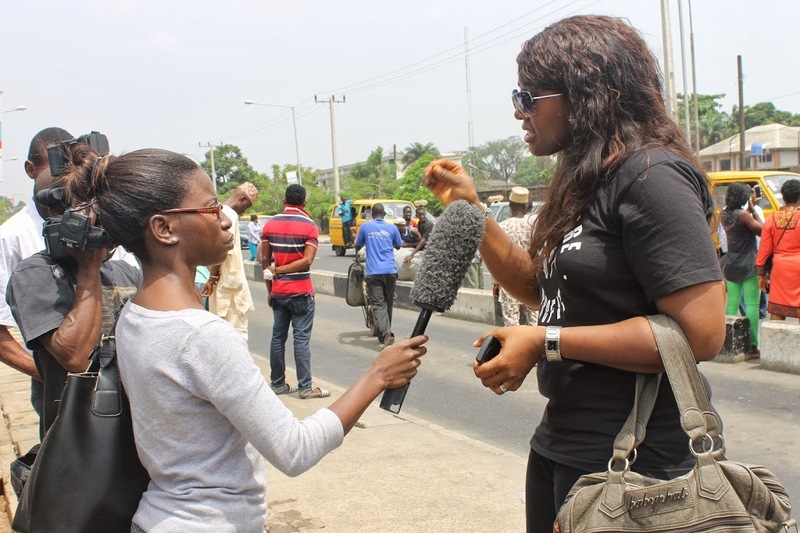 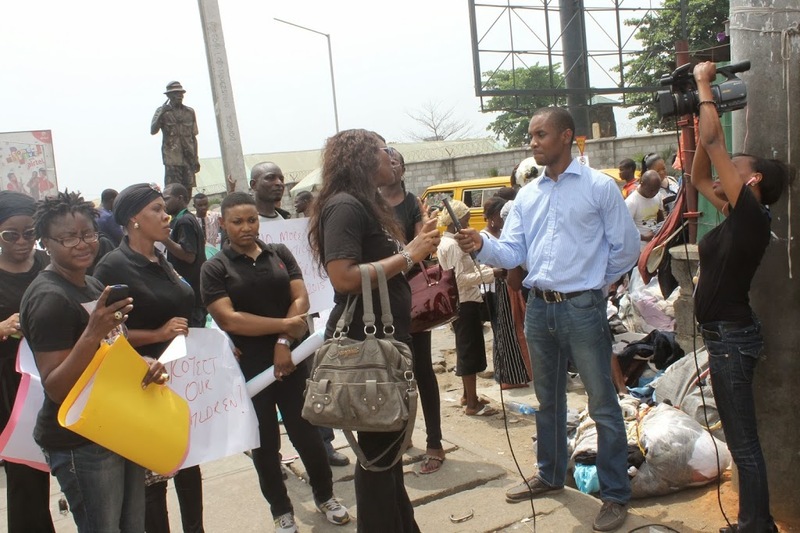 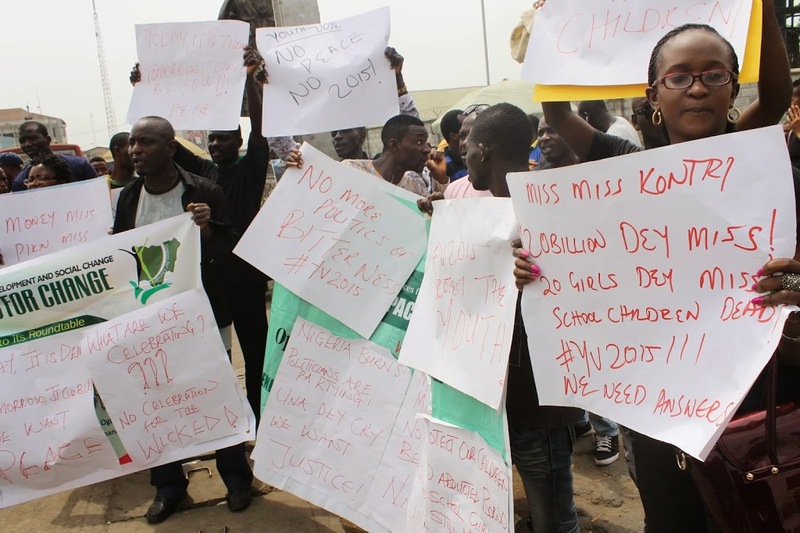 Spaces for Change.S4C coordinated a protest march on Friday, February 28, 2014 involving mainly young Nigerians embittered by the unpralleled official corruption, non-stop violence, abduction and massacres of citizens across the country, most of whom are young people. 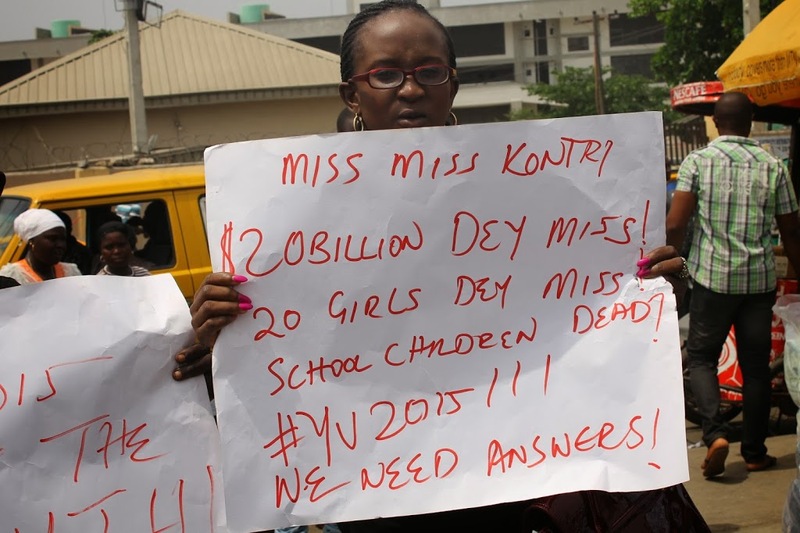 Compounding the $20B oil revenues allegedly missing from the national treasury, 50 students of Federal Government College, Buni Yadi in Yobe State were massacred by gun men suspected to be Boko Haram insurgents. 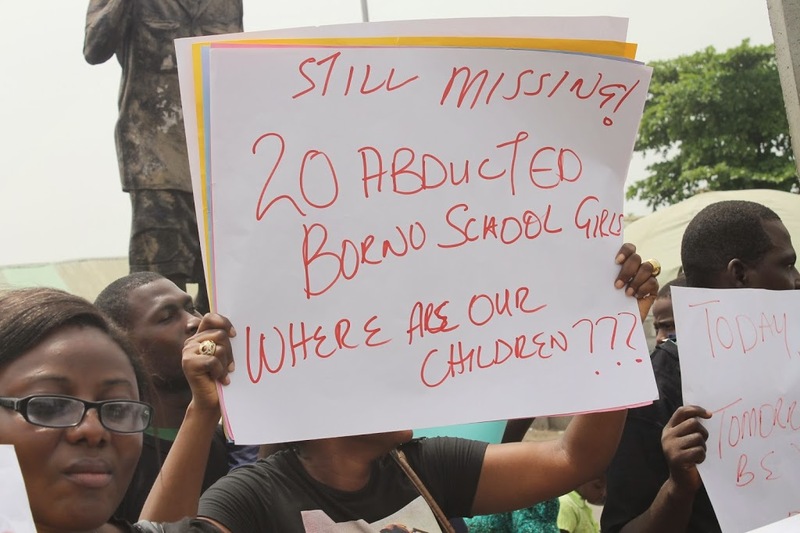 The killings occurred days after 20 young female students were abducted from Government Girls Senior Science Secondary School and Ashigar School of Business and Administrative Studies. 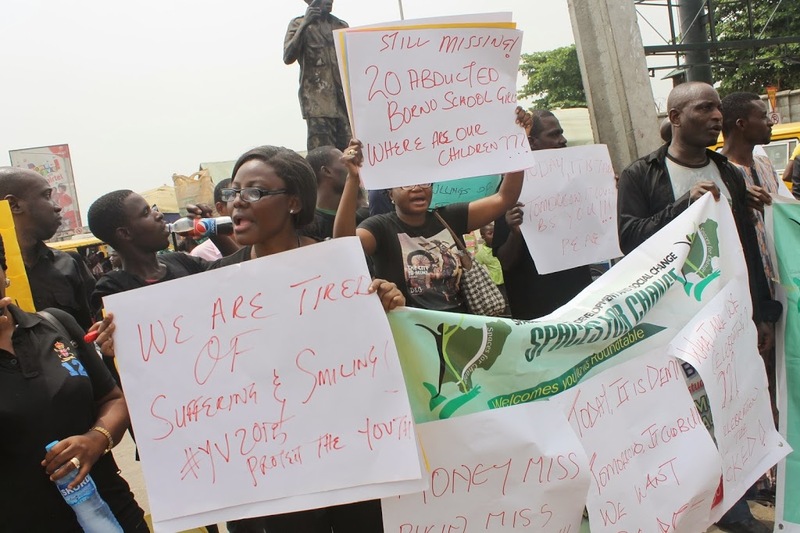 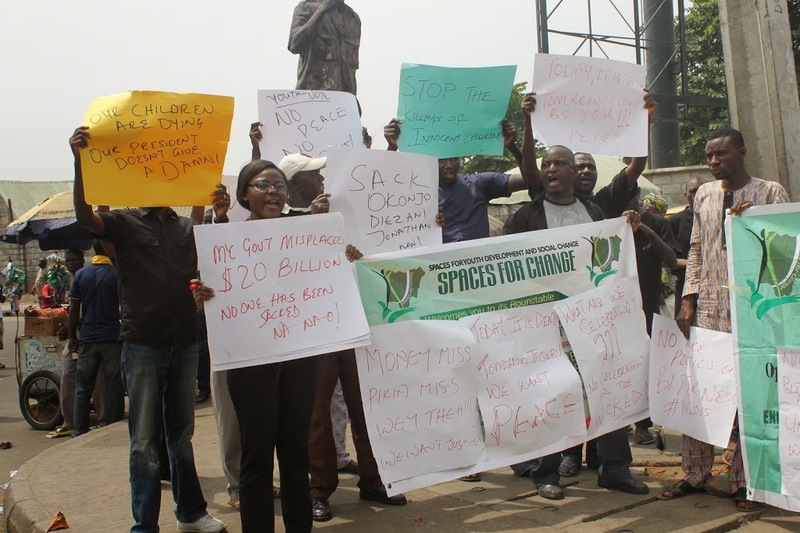 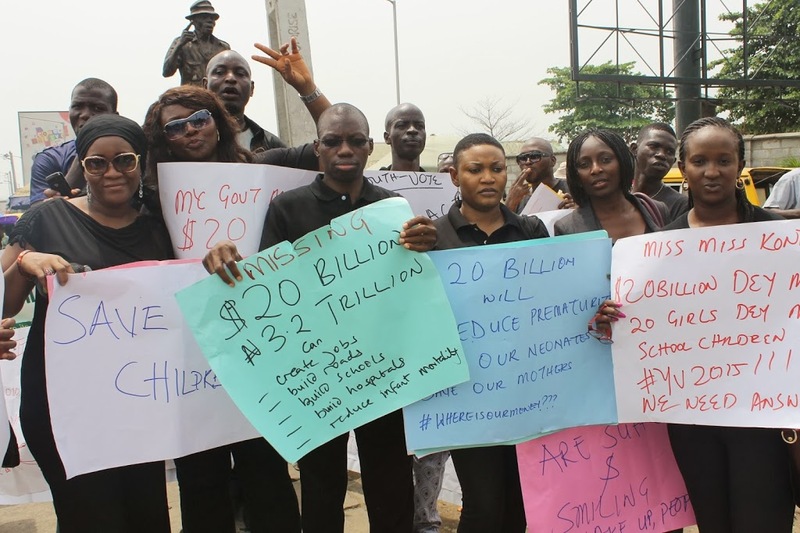 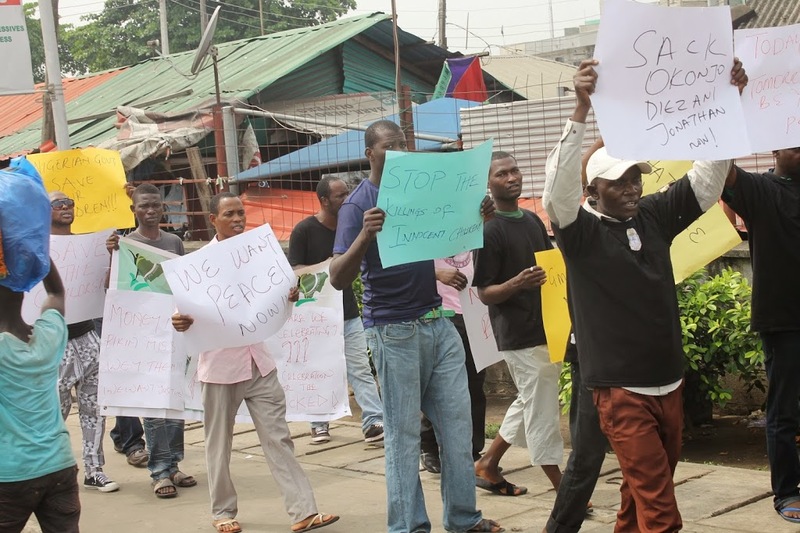 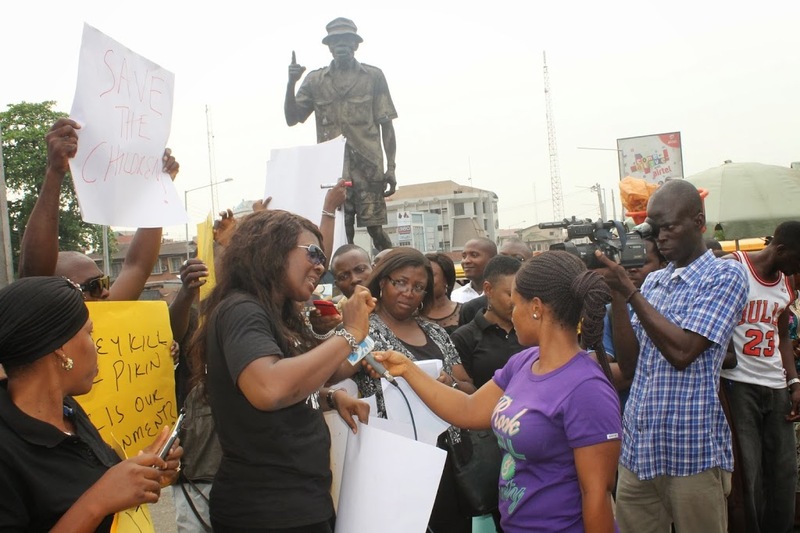 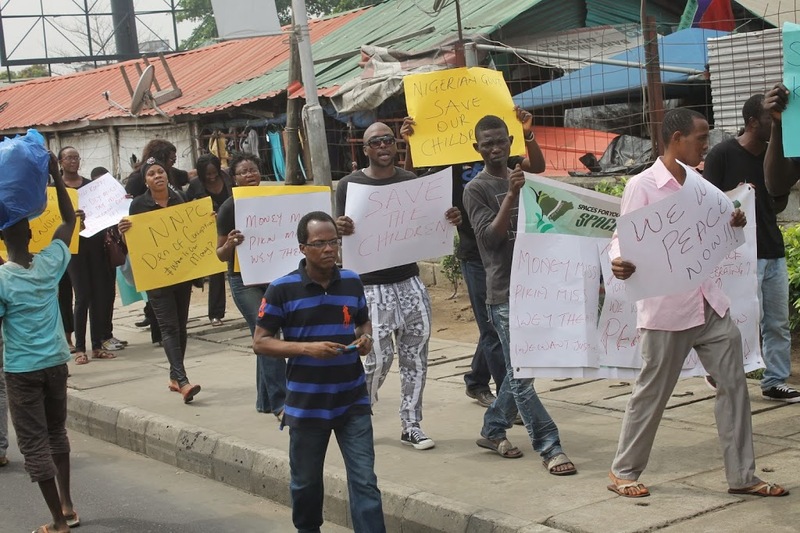 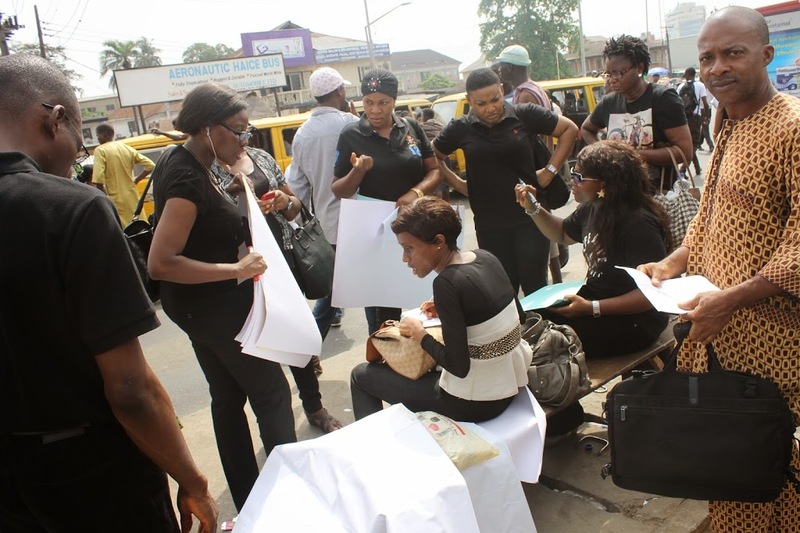 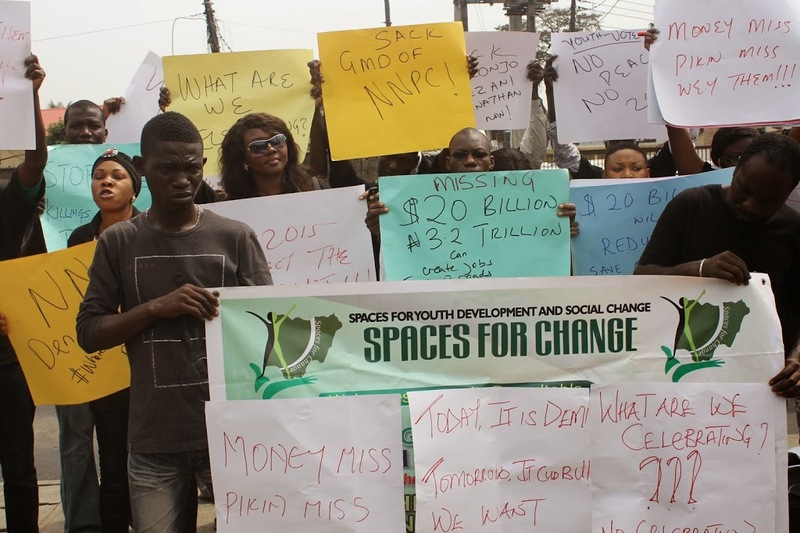 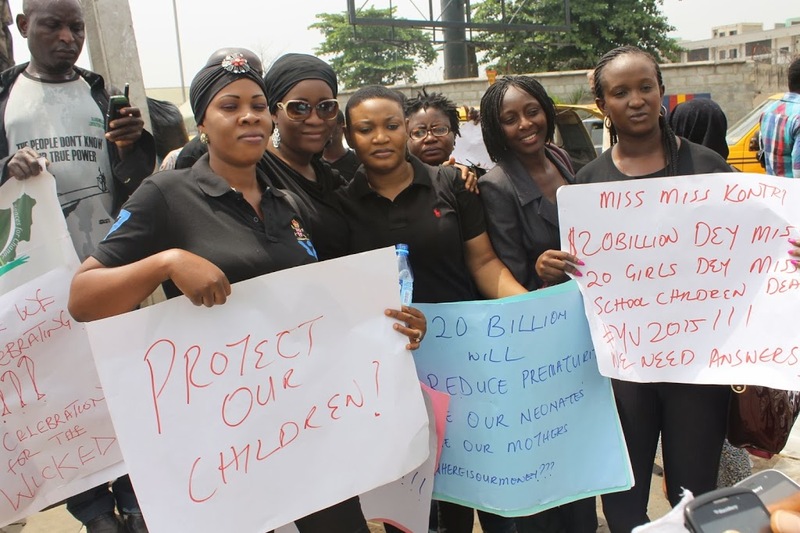 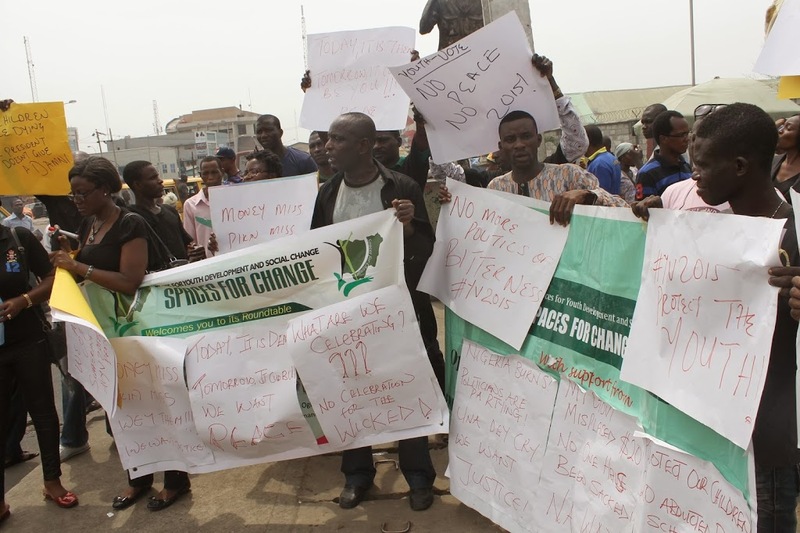 Protesters gathered at the popular Tai Solarin statue at Yaba Bus Stop, Yaba Lagos where they took turns scribbling words of rage on their paper placards and card board sheets. 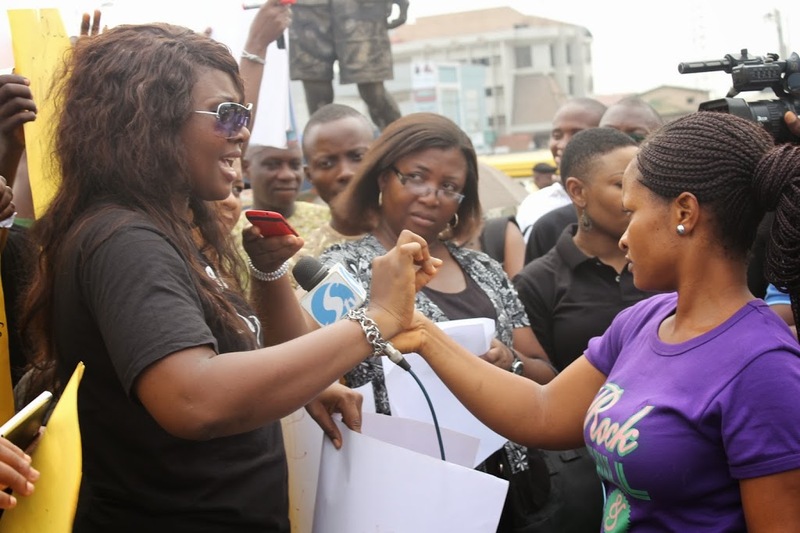 Most of the protesters were Facebook friends, and were meeting each other for the first time. 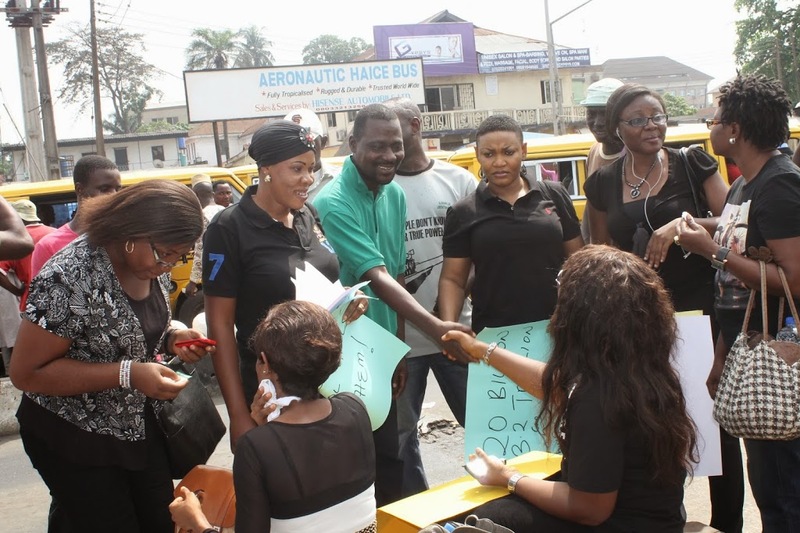 Warm hugs, tight embraces and handshakes melted into organized street action and communication of diverse protest messages in very strong terms. 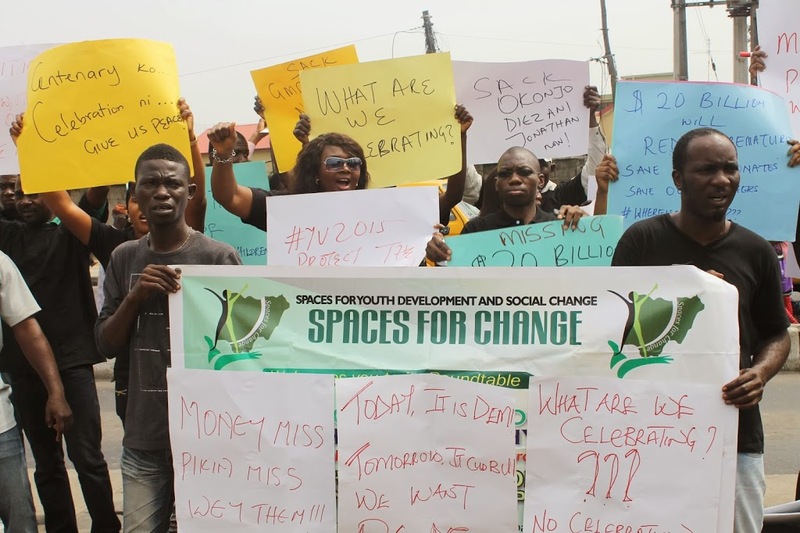 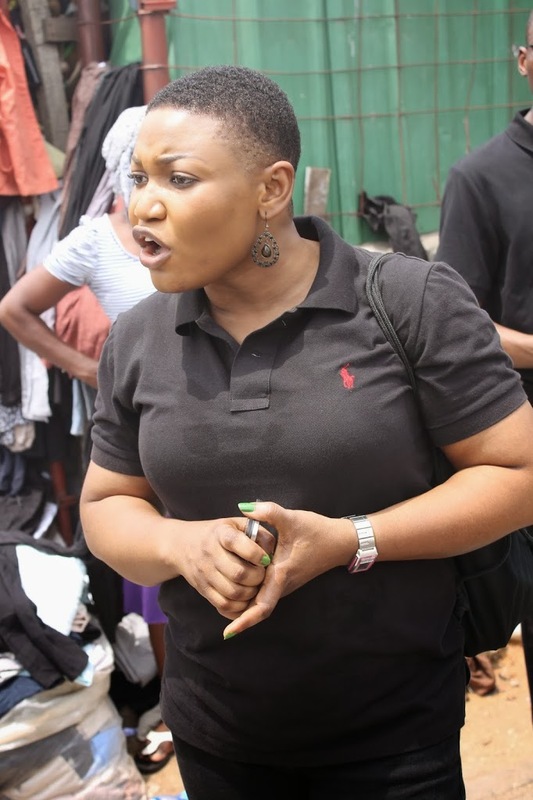 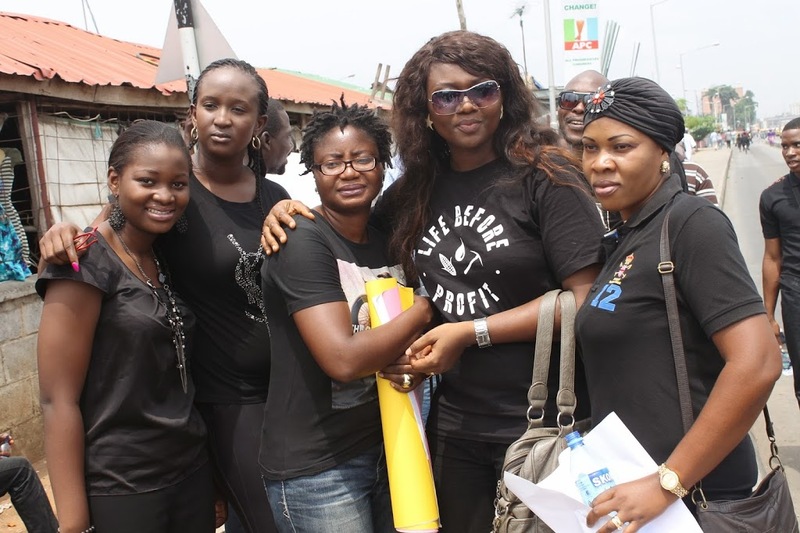 The one and half hour-long march from Yaba Bus Stop to Ojuelegba wound up at the Tail Solarin statue where protesters took turns sensitizing the thickening crowd of passersby, market men and women that gathered at the square. 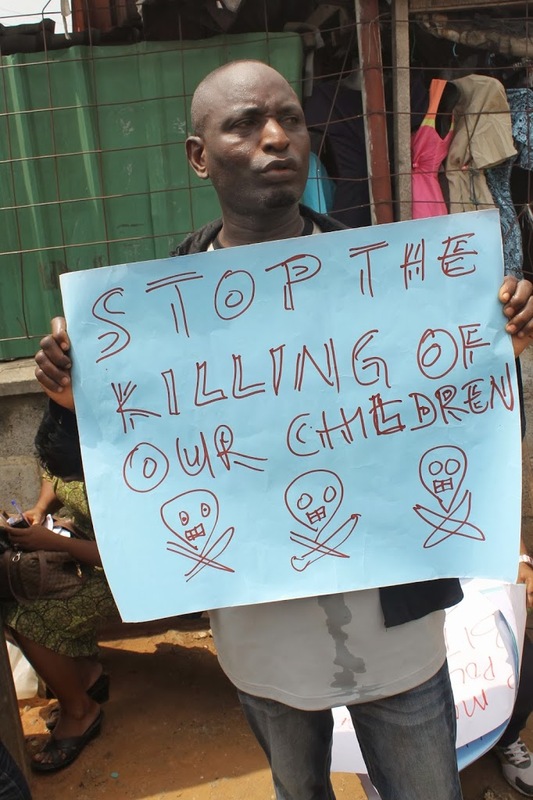 Leaders of the several organizations that participated in the protest spared no breath in demanding justice and accountability during the post-protest interview sessions granted to an array of electronic and print media stations. 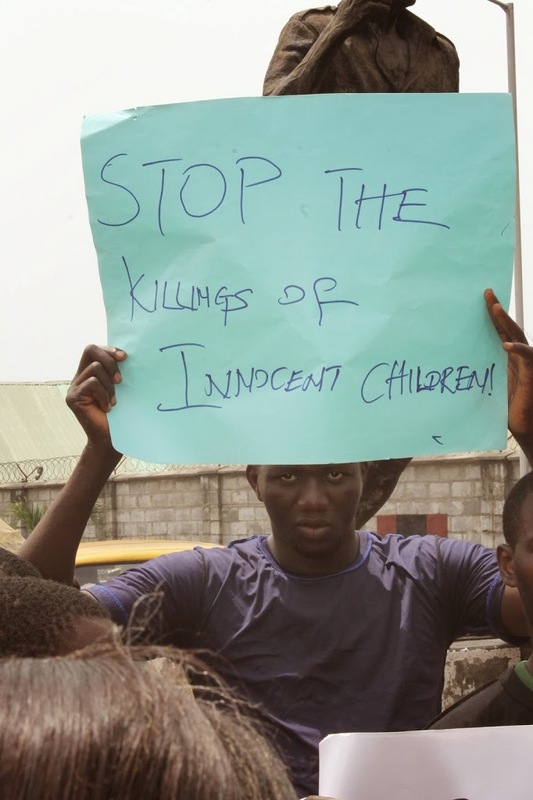 Participating organizations include: S4C, Kudirat Initiative for Democracy (KIND), Tiny Beating Hearts Initiative (TBHI); Centre for Patriotic Leadership Initiative (CPLI), Centre of Children’s Health Education, Orientation and Protection (CEE-HOPE) and many others.